Place all curry sauce ingredients―except the lime leaves―together in a food processor, blender, or large chopper and process well. or, simply whisk the ingredients together, stirring well to combine. Pour sauce into a wok or deep pot on the stove. Add the kaffir lime leaves, and turn the heat up to medium-high. Stir occasionally. When the sauce reaches a boil, turn down the heat to medium. 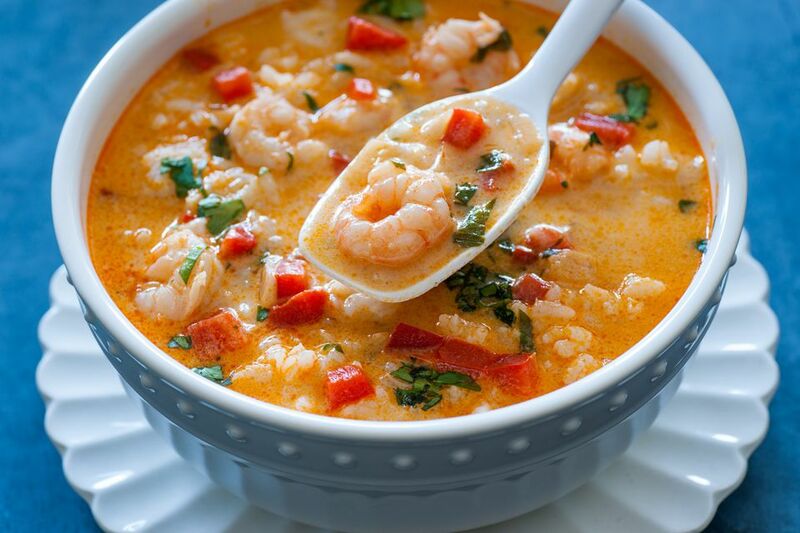 Add the pineapple chunks, cherry tomatoes, and shrimp, stirring to incorporate. Simmer for 6 to 8 minutes, or until the shrimp turn pink and look plump. Remove from heat and cover with a lid to keep warm while you toast the coconut. Place dry shredded coconut (sweetened or unsweetened, as desired) in a dry frying pan over medium-high. "Dry fry" the coconut, stirring continually until it turns golden-brown and is fragrant. Transfer to a small bowl. Coconut will burn easily, so be sure to stay with it while it toasts. Remove immediately from the pan when toasted, or the heat from the pan will continue to toast it. Add 1/2 the toasted coconut to the curry, stirring to incorporate. Do a taste test for salt and sweetness, adding more fish sauce if not salty enough, and more sugar if you'd like it sweeter. Also, you can add more fresh chili or chili sauce if you'd like it spicier. To serve, transfer curry into a serving bowl. Sprinkle the rest of the toasted coconut over top, plus a little fresh coriander. Serve with plenty of Thai jasmine rice, and enjoy!